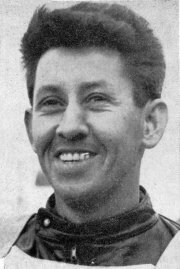 It was a strange time that Ivor Davies spent with Cradley, riding for the Heathens between 1961 and 1963, but only managing around 20 matches per season. He had been involved in speedway since 1946, but due to his National Service, never commanded a team place until 1950 when on loan from Birmingham to Tamworth. He then spent time back with the Brummies and also at Wolverhampton, before deciding to take a break from the sport. 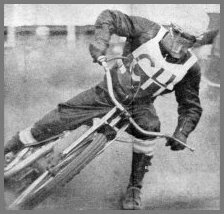 It was his friend and Cradley captain, Harry Bastable, who later persuaded 'Digger' to return to the saddle and he joined the Heathens for a spell of consistent scoring and the role of a fine team man. He was part of one of the best opening pairings in the league when riding at number 2 with Harry in 1962, but suffered a badly broken ankle which kept him out for the latter half of that season. It was one of numerous injuries which took their toll, including another when he lost several front teeth. A comeback the following year proved fruitful, but shortlived. After a clutch of good performances and scores, another injury set him back some more and he hung up the leathers for good at the end of 1963.